Fact: Dan Quinn thinks a hot dog is a sandwich. We enter an important month in the pre-draft process so here is another fresh mock draft for the Atlanta Falcons. In less than a month, the 2019 NFL Combine will begin to unfold in Indianapolis. A few weeks from then, the free agency period will commence, where the Falcons will likely be active to say the least. Once late April rolls around, the Falcons will be vying to add a few more talented pieces to their roster with hopes on making their own deep postseason run next season. This draft is critical for the team and the front office and luckily for them, the positions of need will provide aplenty to select from. It’s been since the new year rung in that I have put together an up-to-date mock draft so let’s get into it. I know that the generated consensus has the Falcons either going offensive line or defensive tackle here in the first round. 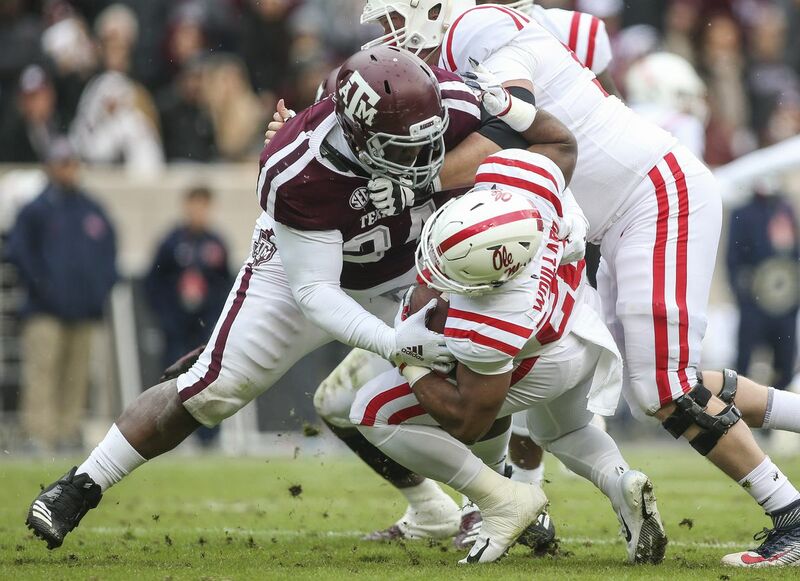 Recently, names such as Alabama OL Jonah Williams, Kansas State OL Dalton Risner, and even Houston DT Ed Oliver (for whatever odd reason) have been forecasted to the Falcons in constructed mocks. But I’m here to say that defensive end is the team’s biggest need and an opportunity such as this is difficult to overlook. The selection of Vic Beasley and Takk McKinley in the first round of the 2015 and 2017 drafts respectively has warded off some Falcons faithful from selecting another edge rusher this early. However, Polite has the tool set to be better than both with his superb athleticism and versatility to be very capable when defending the run. I feel that outside of Williams, there are no first round talents in the offensive line grouping that is worthy of this pick at 14. With that being the case, even Williams does not address their biggest need on the line (right tackle). So why not go with the best defensive lineman available that can inject some needed production into the defense? The offensive line needs to be addressed and carefully focused on this offseason after allowing 42 sacks on the season and numerous amounts of pressures and quarterback hits. It would not be a surprise if the Falcons are to make a few investments on the offensive line this offseason in the draft and free agency. The guard pool in free agency is not as deep as it is with offensive tackles and the Falcons have the opportunity to grab a prospect in Lindstrom that has All-Pro potential. Trading up for Lindstrom may be necessary and in this case, won’t cost the Falcons much. Lindstrom has the ability to anchor with balance and strength and in the run game, he is aggressive and provides a mean streak. The presence of Lindstrom will upgrade the Falcons offensive line from day one. The Falcons offseason is off to a clear start with the release of 6-year veteran corner Robert Alford, thanks to the team option they have this offseason. The selection of Isaiah Oliver in the second round last year inserted a long corner with upside who closed out his rookie season with improved. Opposite of him is the veteran Desmond Trufant, who still does not have the most reliable hands but his play also improved over the course of the season after a below average start. But, the Falcons are in a position where they can think long term and shoring up the depth at cornerback is not a bad idea at all by any means. Bunting is another big corner with a good wingspan and the ability to play both man and zone coverage. Development is needed but the Falcons will not be asking much from a guy who can be CB4 in year one and a possible starter in a couple of seasons. Stuffing the run was not necessarily a staple of the Falcons defensive line during the season and reinforcements are needed in the interior. The team lost the services of nose tackle Dontari Poe last offseason and was without a true 1-Tech. The selection of Mack fills that hole for the defense and inserts 325 pounds worth of meat next to Grady Jarrett and Deadrin Senat to help the rotation. Mack will not be counted on to provide much pressure after the quarterback but his surprising quickness and active hands will help improve the Falcons run defense. Granted, the Falcons are not lacking in weapons on offense but with an offensive scheme in Dirk Koetter’s that will likely push the ball down the field vertically, you can never have too many weapons. Koetter utilized an effective combination at tight end in O.J Howard and Cameron Brate last season as the two combined for 11 touchdown receptions. Minus Austin Hooper, the Falcons do not have a sure answer opposite him that can threaten the passing defense and provide blocking usage. Enter Nauta, who was underutilized in a run-heavy scheme at Georgia and never truly got to showcase how good of a pass catcher he can be. Nauta can form a potentially dangerous duo at tight end with the right amount of seasoning. Remodeling the defensive end room for the Falcons will be a priority this offseason. The release of Brooks Reed and the likely departure Derrick Shelby will leave the cupboard a little bare for Atlanta. This is where they can look to possible take their time and develop a prospect and address depth. Bryant looks the part at 6’5 and close to 270 lbs. The flashes of athleticism shows up on tape but where Bryant came up short was his inability to dominate when the time was right. The Falcons can select Bryant and not give him a role that will be too much in year one. A move such as this may payoff in the long run for the Falcons. It felt good seeing Deion Jones back on the field even though he was not fully healthy for the remainder of the season. Yet, his injury and absence ultimately tested the depth of the linebacking corps. The combination of Jones, DeVondre Campbell, and Foye Oloukun inputs plenty of athleticism on the field. But the drafting of Hanks addresses the depth issue that the team had last season. Hanks has great size and is very excellent in coverage. Year one can be a season where Hanks improves the special teams and can be plenty of competition for former 3rd round pick Duke Riley. Thanks to the Auburn offense he played in, Slayton was showcased as mainly a one-trick pony. However, in those three seasons with the Auburn program, Slayton averaged 20.3 yards per catch. The Falcons have arguably the best trio in the NFL at receiver but they may see veteran Justin Hardy leave in free agency. At worst, Slayton shores up depth at a position that gained a little more importance with the hire of Koetter. How the Ra’Shede Hageman conundrum impacts the Falcons After releasing him nearly two years ago, Dan Quinn has opted to bring back Ra’Shede Hageman. Is the controversial defensive tackle worth taking a second chance on? Reports say Montez Sweat could fall in the draft, possibly to the Falcons benefit The Stone Mountain native also will be watching the draft from home. Falcoholic Roundtable: 2019 First Round Mock Draft The Falcoholic staff make their first round draft selections. Falcoholinks: All the news you need to know for Monday, Apr. 22 The draft is nearly upon us. 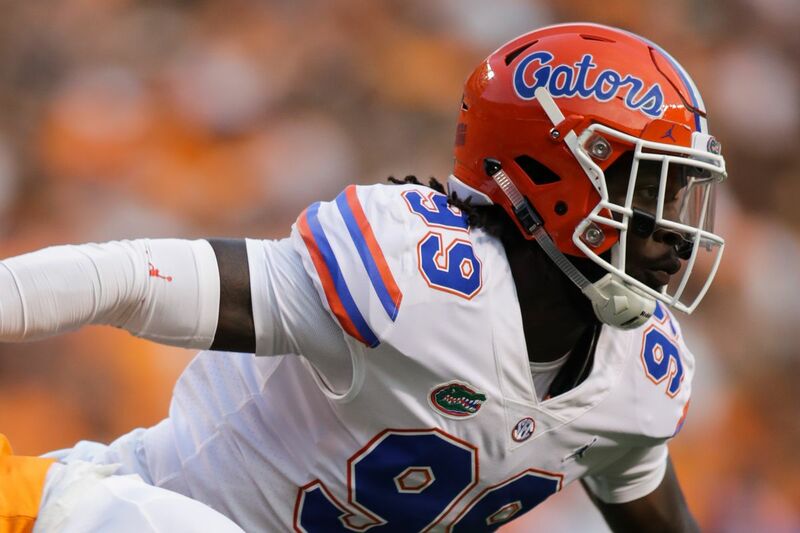 Atlanta Falcons 2019 Mock Draft - 6.0 One final swing at the Falcons projected draft haul.